Mutual of Omaha has been providing Medicare Supplement coverage since the program’s inception. In fact, they were appointed to administer Original Medicare Part A and Part B in 1966 by the Federal Government. When ranking companies, Mutual of Omaha is on top of the list. With their extensive experience in the Medicare Supplement market, strong financial standing and unsurpassed service, we at Medigap Planners highly recommend them. 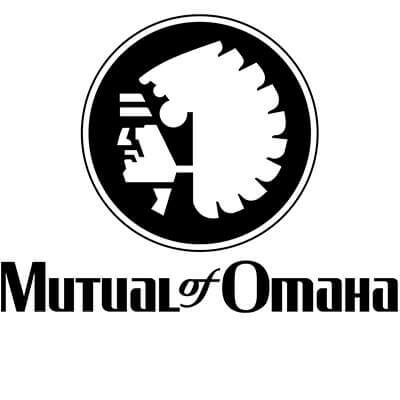 Mutual of Omaha was formed in 1909 under the name Mutual Benefit Health and Accident Association. The home office is located in Omaha, Nebraska. With the exceptional financial stability of Mutual of Omaha, their Medicare Supplement Plans should be at the top of your list when shopping for coverage. Mutual of Omaha is known for having a very competitive Medigap Plan F, Medigap Plan G and Medigap Plan N rates in a wide range of states. *This site uses data encryption technology so your information is always protected. *This Website serves as an invitation for you, the customer, to inquire about further information regarding your health insurance options, and submission of your contact information constitutes permission for an agent to contact you with further information, including complete details on cost and coverage of this insurance.